property listing at their fingertips. Want to stand out from the competition and attract more buyer interest? From residential homes to commercial properties, we make it simple for you to choose the products and services you need to customize each listing, engage buyers and keep your business growing. Whether you need to showcase a luxury property, enhance the value of a mid-market home or boost your agency brand – our professional, high quality photography will get you noticed. 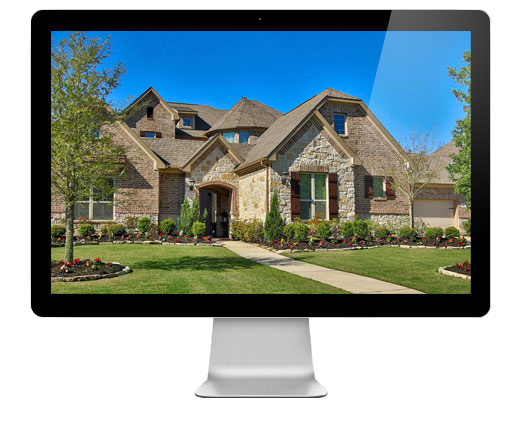 With more than 90% of buyers using property search sites and social media, amazing photographs are essential to make a great first impression and move buyers in both residential and commercial markets. Our gorgeous, eye-catching photos get results. Using only the best equipment, our photographers know how to tell a powerful story through stunning, high quality photographs that spotlight each feature of the property and make it shine no matter the market level. From scheduling to delivery, our automated processes and online ordering system make it easy for you to make an appointment, view and manage your photos. Size-ready and optimized for the web and Hi-Res, our high resolution photos are delivered to you in 24 hrs via an email link. You can view the photos in your personal image gallery which also allows you to download them for your own use. Our experienced team works with you to determine the recommended amount of photos you will need based on a property's price per square foot. Twilight images are very popular since they are a proven way to get any property noticed, especially online. Under the soft glow of dusk, the contrast with a home's lighting creates a dramatic presence and elegant look with a “wow” factor that really makes it standout. The warm and inviting mood captured in these stylish evening images has an emotional appeal that encourages buyers and can also enhance any special features such as landscaping, pool and spa areas, outdoor kitchens and driveways. Elevated images are not only eye-catching, but attention grabbing which serves to set them apart from other online photographs. The height provides an angled view that makes the property look magnificent while also showcasing features that include intricate landscaping, outdoor kitchens and pool design. Elevated images are not suitable for all situations such as properties with dense tree canopies where there is no clear view of the home. Elevated photographs are taken utilizing a camera extension system (ground to air 20-25 ft.) that is typically even with the roof line of a two story home. This may be all that is needed opposed to drone expenses. •Free photo package (up to 50 photos) with the purchase of a 3D Matterport Tour! •Special Offer on Floor Plans and Property Website! You have reviewed all files in this project. Please click submit review to let us know you are done and leave a message if needed. Thank you for submitting your review. The project is now awaiting administrator action. You will be notified of any other actions needed.